You already know that air fryers make it easier to cook healthy food. If you’re in the market for a small and compact air fryer, it’s important to know exactly what to look for. You’ll learn about the reasons to choose a small air fryer over a larger air fryer as well as how to research fryer capacity, counter space footprints, and much more. 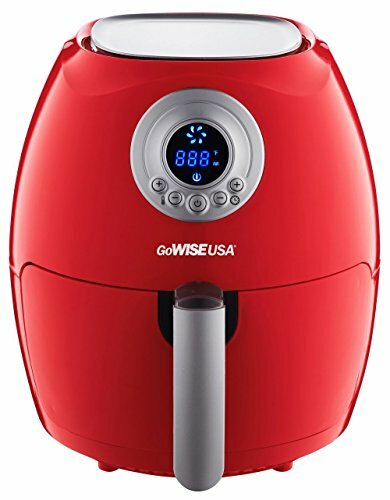 Why Buy a Small Capacity Air Fryer in the First Place? Do I Need Any Additional Accessories? Some quick market research will show that there are quite a few small and compact air fryers available. Once you know the pros and cons, it’s easier to pick one that fits your needs. 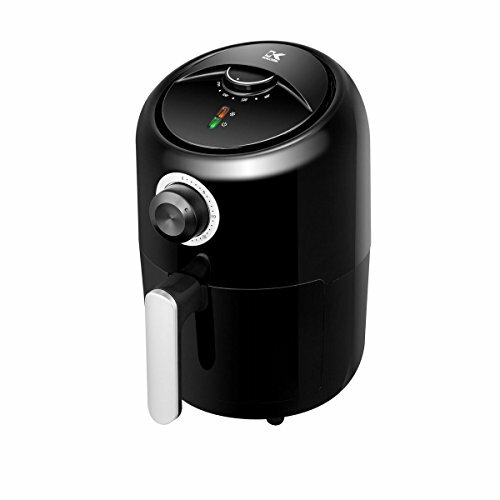 The Dash Compact Air Fryer offers a 1.2-liter capacity that is small enough to fit on your countertop and large enough to cook a healthy meal for one. The fryer is packed with features, including a 30-minute timer with an automatic shut off system and a temperature dial for convenient controls. The cool-touch housing also makes it easy to pull hot food from the fryer without fear of getting burned. The fryer only takes about 15 minutes to preheat for getting ready to cook meals. 15 recipes are included in the recipe guide, helping you to get started. It’s going to take up a footprint of 10.2 inches by 8.1 inches and stand 11.4 inches high. Additionally, there are non-slip feet on the unit for stability, so it will stay put on your countertop as you air fry various foods. 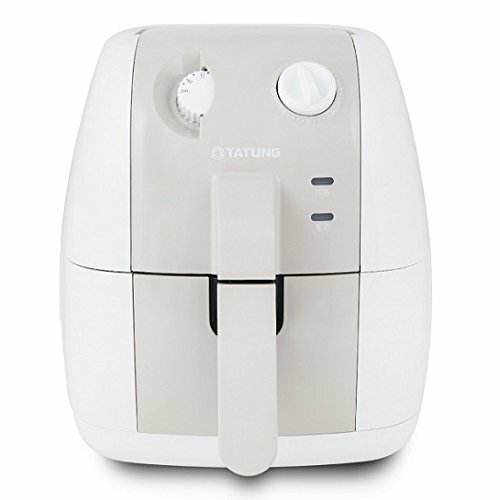 The 1.6-liter air fryer by Tatung is pure white. It features a 30-minute timer, a stainless steel cooking basket, and temperature controls that go up to 400 F. Both the inner pot and basket are detachable for easy cleaning, though neither are identified as being dishwasher safe. The unit is one of the shorter ones, at 10.5 inches high. However, the footprint is a little larger, at 11.4 inches by 13.3 inches. Tatung is a Taiwanese brand that has been creating various products since 1918. Since it is backed by a longstanding brand, it reasons that the air fryer is durable and long-lasting. Very few reviews are available on this fryer, however, making it difficult to determine what others have to say about its quality and construction. 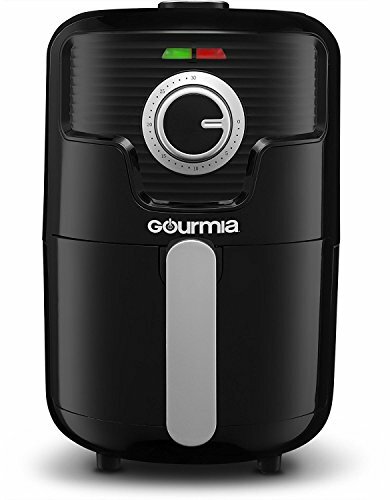 The Gourmia GAF355 Hot Air Fryer involves no oil with a fryer capacity of 2.2 quarts. It’s on the larger end of the spectrum for small and compact fryers. The adjustable 30-minute timer and 400 F temperature is standard in this model, along with the rapid air circulation technology found in virtually every other fryer on the market. There is a compact design, so you won’t have to worry about having to deal with a lot of components. Further, the removable tray makes it easy to keep clean. As for dimensions, they aren’t listed; the weight, however, is a mere 7.3 pounds, lighter than many of the other models available. A bonus cookbook will help you to make an array of fried snacks without using oil. As for reviews, there are very few available to provide the intimate knowledge of how everything works. The Black+Decker Purify 2-Liter Air Fryer includes an array of features, including dual convection fans, adjustable temperature controls, and a 60-minute timer. The unit automatically turns off once the timer is up to provide convenience. Additionally, removable parts are nonstick, helping to simplify the cleanup process. The fryer is backed by the Black+Decker name, too. The unit offers a lot of features, though it’s on the larger end of compact air fryers. The footprint measures 11.5 inches by 11.5 inches and stands tall at 13 inches. The Kalorik FT43875 Air Fryer has a 1.6-liter food basket capacity. You can enjoy temperature controls from 175 to 400 F with the unit. There is a 30-minute timer so you can set the food time that works for what you’re cooking. Additionally, the basket and removable trivet are dishwasher safe, making it easy to clean up a mess. The footprint of this unit measures 10.4 inches by 8.2 inches, which isn’t a lot of space. It will also fit most countertops at 12.2 inches high. The reviews on the unit are not plentiful, but the ones in place to speak about how serviceable it is as well as how it provided a good value based on the cost. A small air fryer might be all that you need and for good reasons. Whether you’re in an RV, a tiny house, or simply have limited counter space, you have to look at the dimensions of an air fryer. The last thing you want is a countertop appliance invading every last inch of space that you have. Some of the larger units on the market can take up 15 inches or more. That’s a lot of space. A compact air fryer will usually take up no more than 12 inches. Plus, you can choose to stow it away when it’s not in use. If you’re the only one that you cook for, there’s no need to buy a unit that’s designed to feed a family of four. You’re wasting your money buying a unit that’s much bigger than what you need. 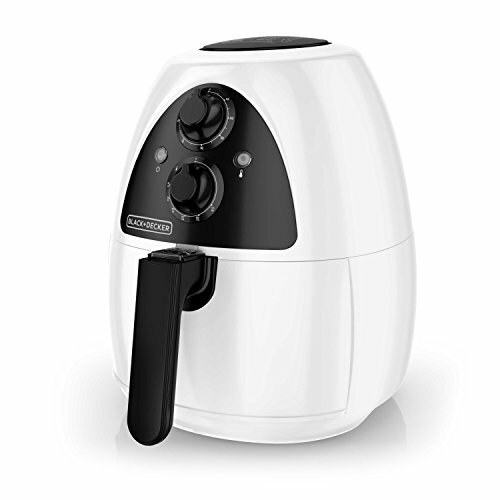 A compact air fryer will be plenty large enough to cook a steak, fry up a small basket of chicken wings, and much more. Smaller units mean smaller prices. Depending on the model that you ultimately decide on, you will typically pay between $40 and $75. That’s much easier to spend than the hundreds of dollars that you would have to spend on the units designed to feed large families. When you’re trying to multi-task in the kitchen, you have a lot of cooking going on. There are plenty of tips on how to get more done in the kitchen. However, it often comes down to using multiple appliances capable of cooking. An air fryer can be used in conjunction with your oven, your microwave, and even a toaster oven. Plus, you can add racks inside your fryer for layering multiple foods. It ensures you can cook everything you need at the temperature that’s right for the food without having to keep anything warm while waiting for the other food to be finished. It’s highly recommended that you have an oil sprayer along with your air fryer. Blue Jean Chef, Meredith Laurence, offers up a few general tips when air frying. 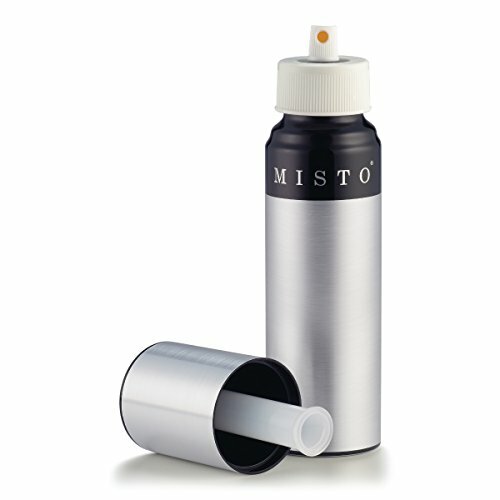 This includes using an oil sprayer on the food to help get the food crispy and brown. With so many different air fryers on the market, it’s important to look at one that’s capable of providing you with all of the features needed. 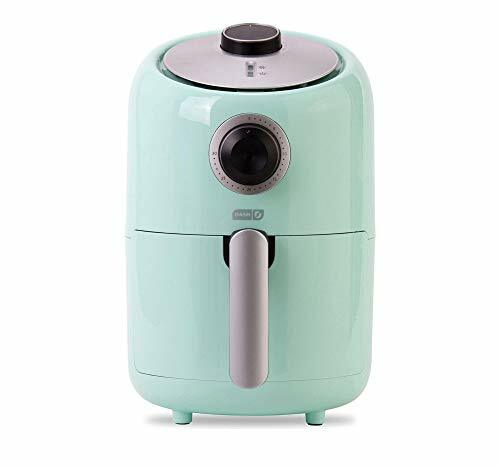 We’re a fan of the Dash Compact Air Fryer, in aqua. While it comes in several colors, the aqua adds a unique splash of color that isn’t found with many models on the market. It’s an affordable air fryer that is compact enough to take up minimal space. It’s got what it takes to cook your food without using oil, so it’s a cooker you can spend your money on confidently.